This star formation complex is embedded in the massive W58 radio source and molecular cloud, and is catalogued by Avedisova as SFR 70.29+1.60. The region also includes Sh 2-99, 5 masers, and numerous additional radio and infrared sources including 7 HII regions. 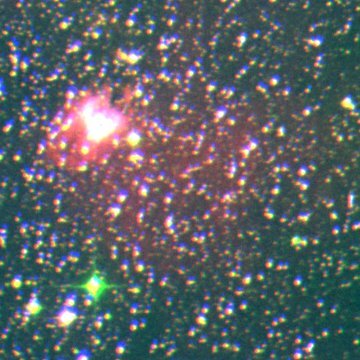 Sh 2-100 itself consists of two distinct nebulae - K3-50 (W58A) and NGC 6857. Available distance estimates suggests that the W58 molecular cloud is located in the Perseus arm. The W58 region can be seen in this MSX infrared image.